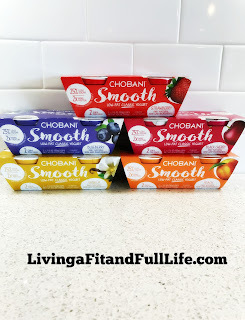 Living a Fit and Full Life: Chobani Smooth - Classic Yogurt Made with Real Fruit and Only Natural, Non-GMO Ingredients! Chobani Smooth - Classic Yogurt Made with Real Fruit and Only Natural, Non-GMO Ingredients! 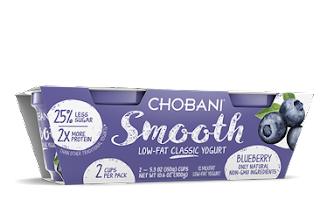 Chobani Smooth is classic yogurt made with real fruit and only natural, non-GMO ingredients! I'm a huge fan of yogurt and always have been. I love Chobani's Greek yogurt so I was pretty sure I'd love their new Chobani Smooth classic yogurt and boy was I right. 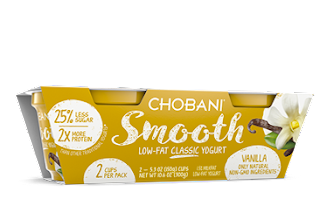 I really like that Chobani Smooth is made with no artificial flavors or sweeteners and contains no preservatives. I also love that it contains 3 types of probiotics and is kosher certified making it the perfect snack for so many. It's creamy texture is amazing and it's sweetened to perfection. Each Chobani Smooth flavor is extremely delicious and since they contain 25% less sugar, and twice the protein, they make a terrific healthy snack. 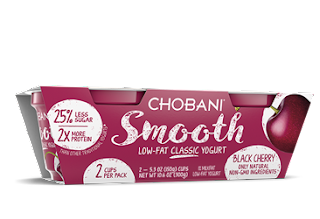 Chobani Smooth is the classic yogurt your taste buds crave!